Update: Virgin now offers the $60/10GB plan in Alberta, BC and Ontario. This article has been updated to reflect the change. The 10GB data is permanent. Call in and make the change–there are long wait times right now. 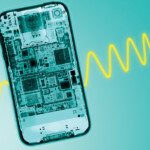 Is this considered a full-fledged wireless price war yet? Virgin Mobile is currently offering a $55 BYOD plan with 10GB of data (3GB + 7GB bonus), for today only. After one year, this plan will jump to $65 per month for 10GB of data, which will remain. Virgin Mobile appears to be offering this $55/10GB today, as the $60/10GB plan we’re seeing from Rogers/Fido (BC, AB only), Bell (BC, AB only), and Koodo (BC, AB, ON only) isn’t in their systems yet. Telus will launch this promo plan tomorrow. We’re told by retail employees they “don’t know” when the $60/10GB plan will launch, as they can only “speak about today”. But one employee said the Virgin $60/10GB plan will launch on Saturday, December 16 for Ontario. 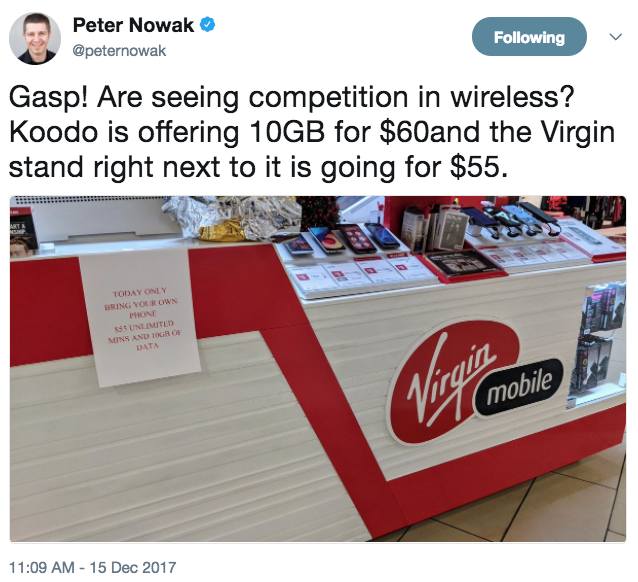 Virgin Mobile’s $55/10GB one-day offer appears to be a response to Telus’ Koodo Mobile, as the latter launched their $60/10GB promo in Ontario today, putting a kink in Rogers/Fido’s plan which is an Alberta/BC exclusive. This $55/10GB plan is a warm deal, since it will jump to $65 per month after one year, unlike Koodo’s offer which is $60/10GB permanently. These plans include unlimited Canada-wide calling and text messaging. All of this is to compete with Freedom Mobile out west and their new LTE network, as Shaw’s wireless carrier launched a $60/10GB plan back in October, as part of revamped ‘Big Gig’ plans, which can now pair with iPhone sales.